← One Direction to perform in Singapore for the first time in March 2015 as part of their “ON THE ROAD AGAIN TOUR 2015”! 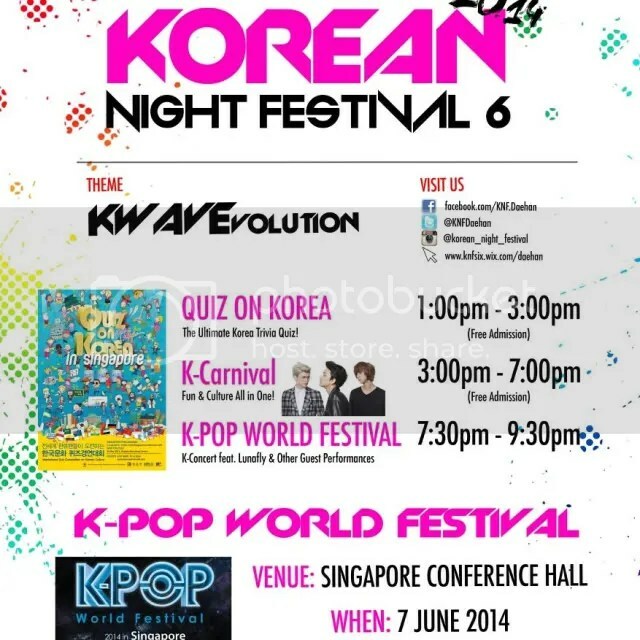 Korean Night Festival 6 to return to Singapore this June with K-wave Evolution! Korean Night Festival (KNF) 6 will return to Singapore this June with the theme “KWAVE Evolution” and this year, the festival promises to be the most eventful one to come with the collaboration of Kpop World Festival and the Korea Embassy, also jointly supported by Korea Tourism Organisation and the Korea Chamber of Commerce. The theme for 6th Korean Night Festival is ‘K-wave Evolution’ with the objective of celebrating the arrival and development of the Korean Wave and how it has shaped social and cultural trends in Singapore from the late 1990s to today. KNF is an annual arts and culture event which aims to commemorate, promote and raise awareness about the vibrancy and diversity of the culture. It is organized wholly by volunteers from Daehan Korean Language School – the first Korean Language Centre in Singapore, with the support from both Korean and local enterprises. Through this festival, visitors can expect to experience the richness of Korea’s cultural heritage and its modern allure through a range of exhibits showcasing Korean traditional costumes, cuisines, games and sports. The festival will feature a day of fun-filled activities with a K-Carnival (open to public) in the afternoon and the concert in the evening. Korean pop entertainment, the forefront of the Hallyu wave will also be featured in the festival. For the first time, a K-pop group will be there to grace the event. 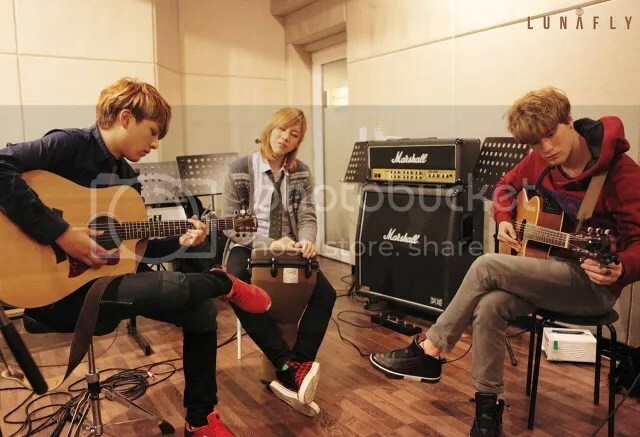 Nega Network’s trio band Lunafly will be performing during the K-pop World Festival Segment alongside other guest performances. K-pop World Festival is one of the largest Hallyu wave festivals where global fans of Korean Pop culture gather, showcase their talents in dancing and singing and compete. Korean Night Festival is proud to be the sole platform for auditions and the final winner on the event day will carry the honour of representing Singapore and compete at K-pop World Festival. Korean Night Festival aims to provides an opportunity for everyone to gather and celebrate their interest and love for Korean culture and Korean Wave. Note: Free Admission for Quiz on Korea & K-Carnival. ● Daehan Students: S$30 (maximum 5 tickets).